Introducing the full line of Champion® products, backed by the name you know and trust. With everything from spark plugs to filters, lighting and batteries, you can do more than just service your vehicle, you can Champion it. Champion® maintenance products have you covered. 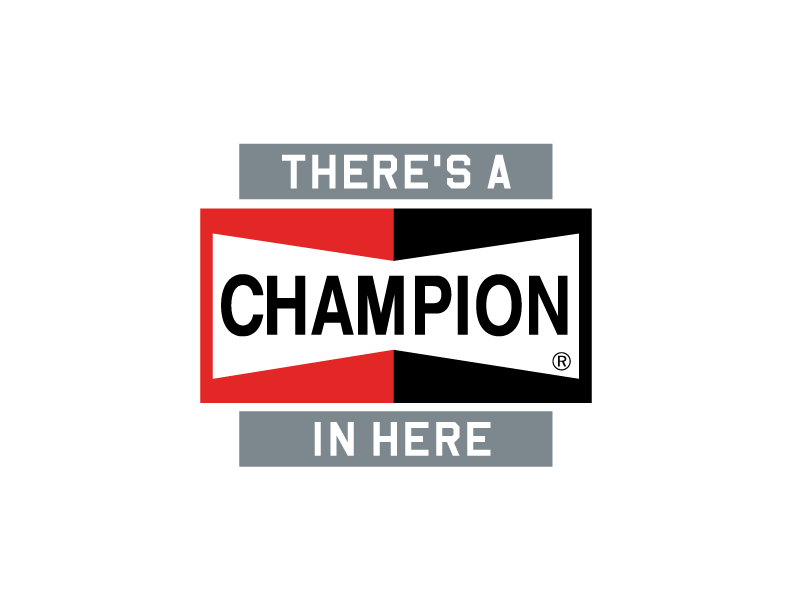 Search for Champion® products with our easy part finder or by your interchange number. Also find Champion® products near you with our store locator. Find out how you can Champion® your machine with technical advice from our team of experts.